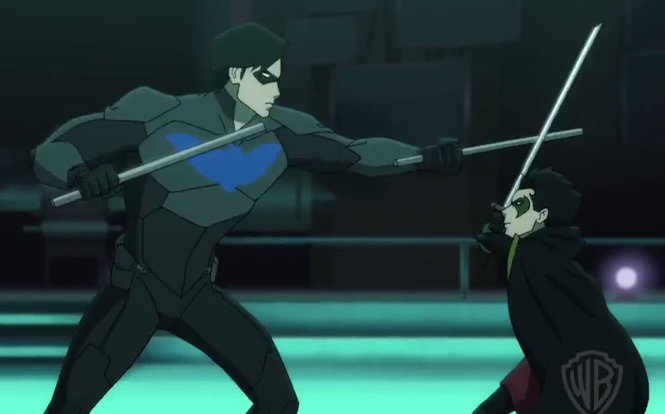 Warner Bros. Home Entertainment offers an all-new clip from “Batman vs. Robin" that features Nightwing and Damian/Robin training in a most contentious manner. Sean Maher (Serenity/Firefly) provides the voice of Nightwing, while Stuart Allan is the voice of Damian. “Batman vs. Robin,” the latest entry in the DC Universe Original Movies series, will be distributed by Warner Bros. Home Entertainment as a Blu-ray Deluxe Edition, Blu-ray Combo Pack, DVD and Digital HD on April 14, 2015.